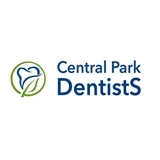 Central Park Dentists (New York) - Book Appointment Online! *If you need to cancel or reschedule, please do so at least 24 hours in advance. * Dr. Bela and Dr. Garry Levingart are dentists in New York City and Brooklyn who specialize in beautifying smiles and helping you improve your overall appearance. Their experienced and friendly staff take great pride in keeping your smile healthy and functioning at its best. Their promise to you is that the crowns bridges, implants and veneers they create will look and feel as good as, or better than, the teeth nature gave you. To make sure they keep that promise, the products they recommend and use are of the highest quality and durability. You can entrust your smile with them. I saw his wife, Bela. Very good bedside manner, just NY dentists specialize, so I have to see another dentist.